“As Seen on TV” Has Some Good Products! A week ago I decided to buy a vegetable slicer, and well, lets just say two unfortunate accidents caused me to look at some other products to make my food preparations a little bit easier. So I bought an “Eggtastic” and a “Prepsolutions Onion Chopper” since I saw the Eggtastic on TV and thought it was genius and I came across the Onion chopper while visiting the pharmacy due to my slicer accident. So, tonight I decided I wanted to make breakfast burritos. 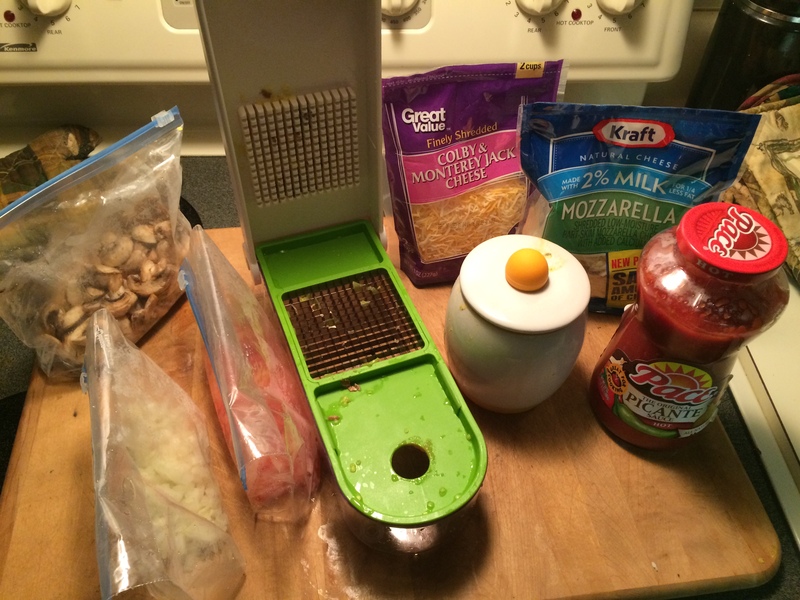 To start out, you need whatever vegetables you want to add, four eggs, cheese and hot picante sauce. I chose tomatoes, mushrooms, onions and hot yellow peppers. 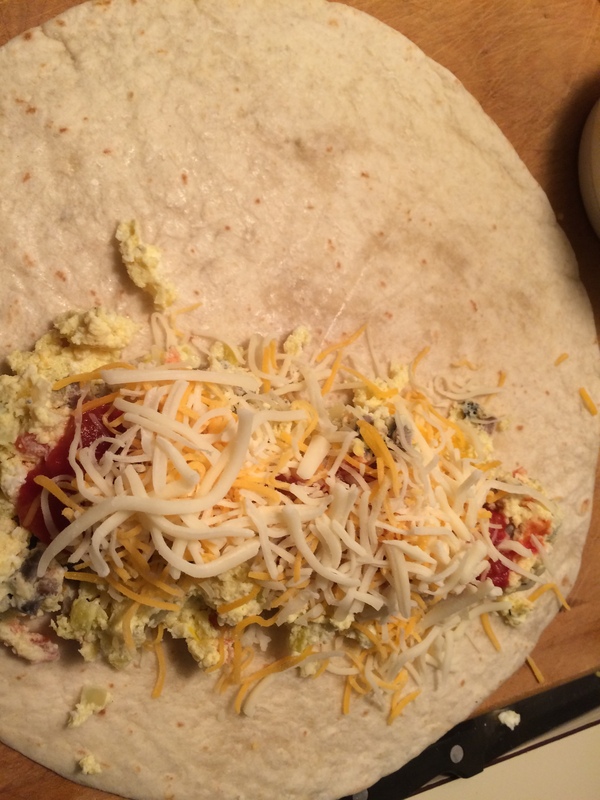 Here are all the ingredients to make a delicious breakfast burrito. I began by chopping up the veggies and placing them in baggies. Then I took 4 eggs and put them in the Eggtastic. I then placed the veggies in with the eggs and stirred them up. Put the Eggtastic in the microwave for two minutes, then taking it out, stirring the eggs again and putting it back in the microwave for another two minutes. I then removed them from the microwave and stirred them one last time, and cooked for one more minute. 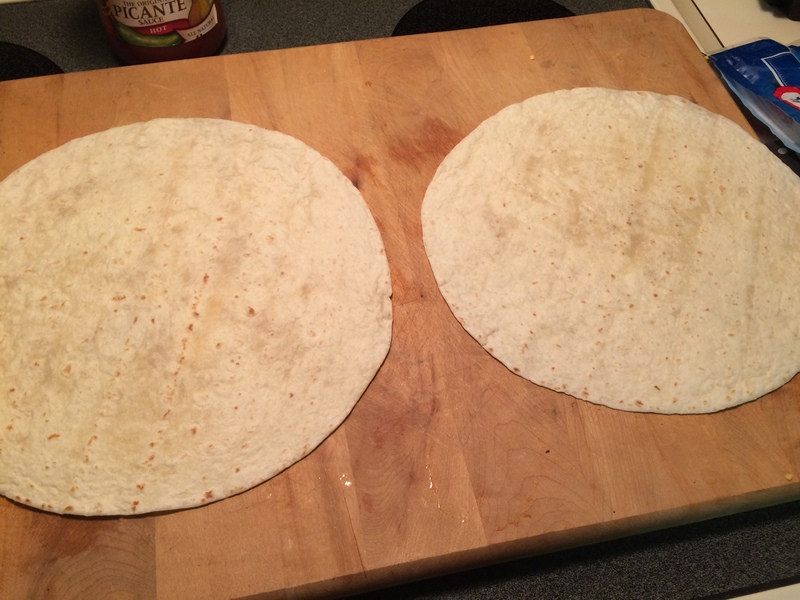 I then laid out the large floured tortillas. 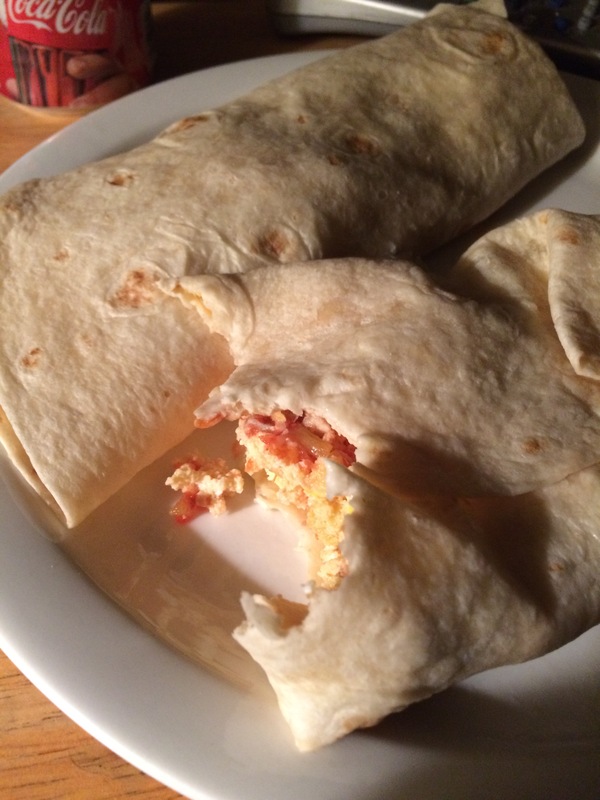 Adding the cooked eggs from the Eggtastic along with cheese and picante sauce and folded the tortillas into a burrito. *Remember, the Eggtastic is very hot coming out of the microwave, so use oven mitts to handle it. I then put them back into the microwave for another minute 30 seconds. Removed them and they were ready to eat. I have to say it was delicious!